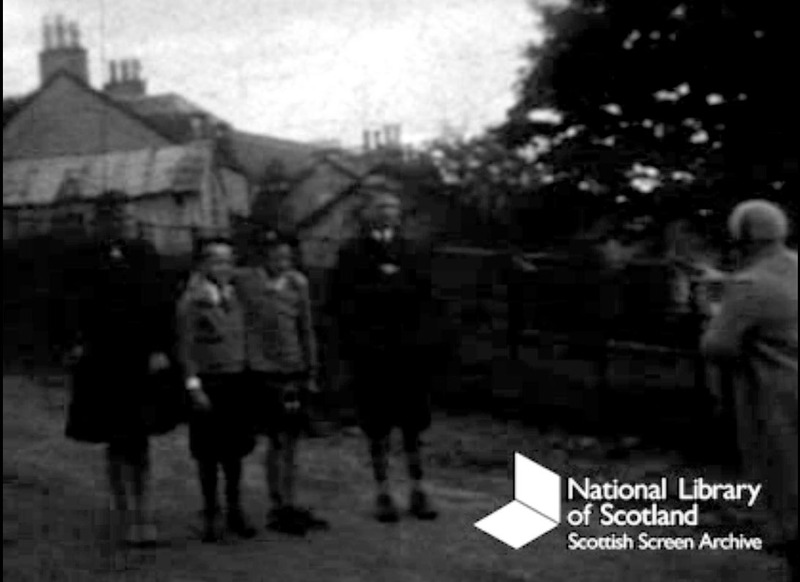 Film Courtesy of Scottish Screen Archive. Frances Hedges Montgomery was elected Burgh Councillor of St Andrews in 1930. In the two years prior to her election, she made twelve short films (with help from her companion and family’s live in Nanny). Six of these followed her family experiences in and around St Andrews. The remaining films were shot in other areas of Scotland with a similar domestic focus. 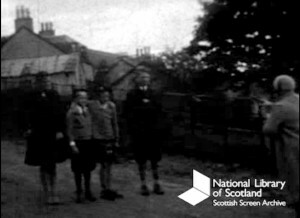 The films are currently held at the Scottish Screen Archive in Glasgow although a selection of them are available for viewing on-line and in the St Andrews University library. The Montgomery films represent one the most comprehensive filmic records of St Andrews for that period. Although the collection has an explicit family focus, and one might think of them as only suitable for learning about the concerns of a particular family, these films also serve to either affirm or question our ideas of the interwar, gentrified class. The largest part of the Montgomery collection concerns family outings, focusing on the activities of the children. The picturesque framing and composition of each shot is suggestive of an earlier sense of aesthetics. Indeed, in one of the holiday films the children are filmed being photographed by their Nanny, suggesting the overlap between the older art of photography and the newly introduced practise of film (Montgomery Family Outings, 1930). In a later film (Town Council Election, 1930) the children are filmed blowing bubbles from soap. The film recalls Millais’ painting “Bubbles” and expresses an almost Victorian attitude towards children. Similarly, we are given an impression of 1930’s childcare from the constant presence of a live in Nanny, both in front of and behind the camera. Alternatively, as these films were made to record Mrs Montgomery’s inauguration to a place on local government (Town Council Election, 1930), they also serve as a record of the changing attitude to women’s rights. Indeed, signs held up amidst the crowd of voters proclaim ‘Women’s Rights, vote for Mrs Montgomery’. This is perhaps not so surprising in the context of St Andrews given that the University was one of the first to accept women as undergraduates with Agnes Forbes Blackadder graduating in 1895. Councillor Montgomery’s film therefore links St Andrews with a deserved reputation for forward thinking and equality. Although she was certainly not the first female councillor, her election is still entwined with the ongoing fight for equality heralded by such local women as Dundee’s Agnes Husband. In all, the Montgomery collection assists us in understanding a specific moment in the history of St Andrews. The roles played by women and children in the interwar period are presented in these films, evident in both what is filmed and how. To that end, these personal films provide both an interesting snapshot of a local life and an image of broader social, cultural and historical changes that resonate with national and international audiences.